It's that time of year again when students can nominate a teacher for teaching excellence in the classroom. A student nomination is an important part of Appleby's Recognition Awards programme and provides students with the opportunity to highlight and recognize the impact that a great teacher has made in their learning experience at Appleby. The nomination forms and process has been communicated to students and their nomination forms will need to be submitted to Janelle Tablada, Human Resources assistant, by Friday, May 3, 2019. The award nominated by our students is truly special, as it provides them with an opportunity to express how their teachers are making a difference. We always look forward to reading the student nomination submissions, and hearing first-hand about the positive impact teachers make in the classroom. In addition to the student nominations, Appleby's Recognition Awards programme gives teachers the opportunity to apply for a travel study grant that provides unique learning experiences designed to enhance their knowledge and contribution in the classroom. The programme also gives employees the opportunity to nominate colleagues who they feel contribute towards excellence through the programme's peer recognition award. The Recognition Award recipients will be announced in May and are celebrated at a reception with Appleby's Board of Governors and Leadership Team. Construction crews continue to work diligently to complete the A.W.B. Alumni Centre for Athletics and Student Life. While much work still needs to be done, installation of the hardwood floor in the double gym has begun, plumbing fixtures are being installed, and tiling continues throughout while millwork will begin this week. To see how far this project has come over the past two years, please take a few minutes to view the latest time-lapse video including an interior tour, click here. With spring finally here, we would like to remind parents and students of our Appleby College uniform expectations. Please click here to review the Appleby dress code. A few things to note: hooded sweatshirts are not included as part of the uniform, socks or tights are required, kilts must be an appropriate length, and grey denim or casual pants are not permitted. School directors will be following up with students and discussing uniform expectations in Grade Band meetings. Please click here to view the 2019-2020 Appleby school year calendar. Appleby's athletics teams have multiple games this week - it would be great to see parents, students and siblings cheer on the Blue Dogs! Click here for the game schedule. 2018 child care receipts and Advanced Placement course tuition amount certificates (T2202A) are now available online from Parent Central. To be eligible for child care receipts, students must be 16 years of age or younger as at December 31, 2018. Advanced Placement course tuition amount certificates (T2202A) are available to students registered in eligible Advanced Placement courses. International families may request a receipt for tuition from Debi Bell, administrator, accounts receivable at studentaccounts@appleby.on.ca. On Wednesday, April 17 Arts Prefect Molly Cobb will be presenting her chapel speech. On Thursday, April 18 we will host a special Chapel Service to commemorate Holy Week. Check Out These Connect-Ed Sessions! Join us to learn about programming at Appleby, or learn a new skill with adult members of the Appleby community! There are a wide range of sessions available, and unless indicated, are complimentary to take part in. Please click here to view the 2018-2019 Connect-Ed catalogue. To register for these and other Connect-Ed sessions, please click here. For more information please contact Michelle Frigo, associate director, guidance, University Counselling. Appleby will be participating in the COMPASS Health & Wellness Survey through the University of Waterloo on Friday, May 3. This is our seventh year participating in the survey which will assist us in growing and improving the effectiveness of Appleby's health and wellness programming. All students in Upper One through Senior Two will write the survey during their advisory meetings. The survey results will be kept confidential so that individual students cannot be identified. All responses will be grouped by the University of Waterloo to identify health behaviour trends in the Appleby student population, and used to help plan and evaluate future health and wellness programming and services for students to access at school. Please review the parent information letter which provides further detail about the study. If you have any questions about COMPASS, please contact Mary Brajkovic, director of wellness. Advanced Placement exams will be written at Appleby in May 2019, please click here for the schedule. Please note: on Friday, May 17 Appleby will be closed for the May long weekend. To accommodate exams originally scheduled on this date, exams will be written on the conflict date set by the College Board (Wednesday, May 22). If you have any questions, please contact Maggie Hanrahan, Advanced Placement coordinator (interim). Recently the College Board announced changes to the registration process for Advanced Placement (AP) examinations to be written in the spring of 2020. Fall exam registration is a best practice at more than half of AP schools. In the 2017-18 school year, the College Board piloted earlier registration with 40,000 students. They saw an increase in scores of 3 or higher across multiple groups. Earlier registration made a positive difference across the board. With these results in mind, the College Board has mandated that registration for spring 2020 AP examinations will take place during October and November of 2019. Please keep this early registration in mind as your child enrolls in courses for the 2019-20 school year. For additional information please review the following announcement from the College Board, or contact Maggie Hanrahan, Advanced Placement coordinator (interim) with any questions. Appleby College Camps is Hiring! Are you or someone you know interested in working at Appleby College Camps this summer? Visit www.appleby.on.ca/currentopportunities to view the available positions including: photographer volunteers, summer camp instructor (Mandarin speaking) and full-time photographer roles. Also, continue to check back as more positions will be posted in the coming weeks! Join us this summer for an exciting selection of credit courses and enrichment programming! New this year, our enrichment programs are now all full-day courses that run throughout the summer. Sign up today for our exciting new enrichment programs that include Virtual Reality Video Game Design, "Bay Street," Game Theory, Short Stories and many more! Please click here for a full listing and description, or to register today. Space is limited. The team at Appleby Camps can't wait to welcome you back for another fun-filled and exciting camp season! To check out our Summer Camps programs click here. As you will see, in addition to adding a number of exciting new programs, we've kept many of the 2018 programs our campers loved including Leadership Camps specifically designed for ages 12-14 and 14-17. Senior Leadership provides participants the chance to build on the following skills: group dynamics, communication, cooperative learning, leadership styles, followership and confidence, and also gain their Standard First Aid and CPR-C certification. This year, they will also be participating in an overnight hiking out-trip making it a two-week camp! Please visit www.appleby.on.ca/camps or contact the Camp Office at 905-845-4681 ext. 113 to learn more! 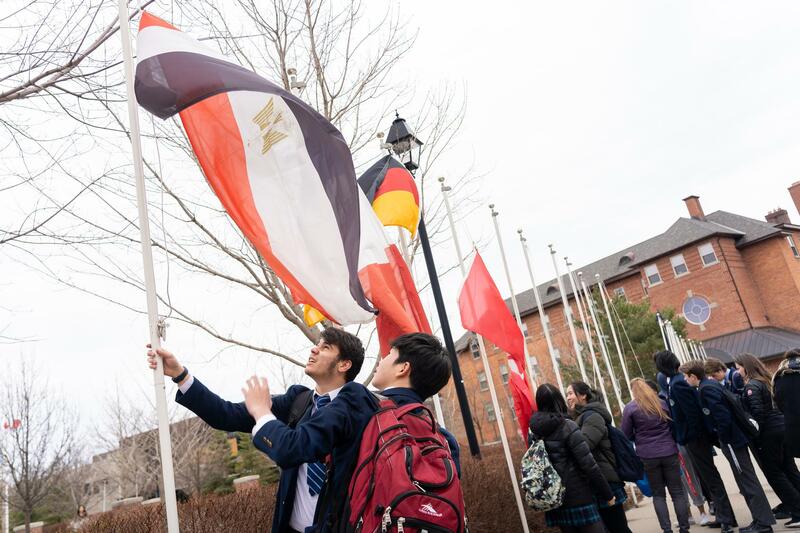 On April 11, in conjunction with Appleby's International Council, students raised 40 flags to represent the home countries of the Class of 2019. Also represented are the 13 Canadian provinces, territories and the Mississaugas of the Credit First Nation. Please take some time to walk by The Samuel Quadrangle this term, the flags will be showcased outside until Closing Day. From March 28 to 30, 15 Appleby students attended the Middle School Model United Nations Conference in New York City. As delegates of Montenegro, students participated in a number of committees including: World Health Organization, United Nations Entity for Gender Equality and the Empowerment of Women, United Nations Educational, Scientific and Cultural Organization, and Economic and Financial Committee. The trip included a tour of Lower Manhattan, Madison Square Gardens, a Knicks-Raptors basketball game and a visit to the top of the Empire State Building. The conference culminated with a closing ceremony held in the General Assembly of the United Nations. Our students represented Appleby with integrity and should be proud of their contribution. 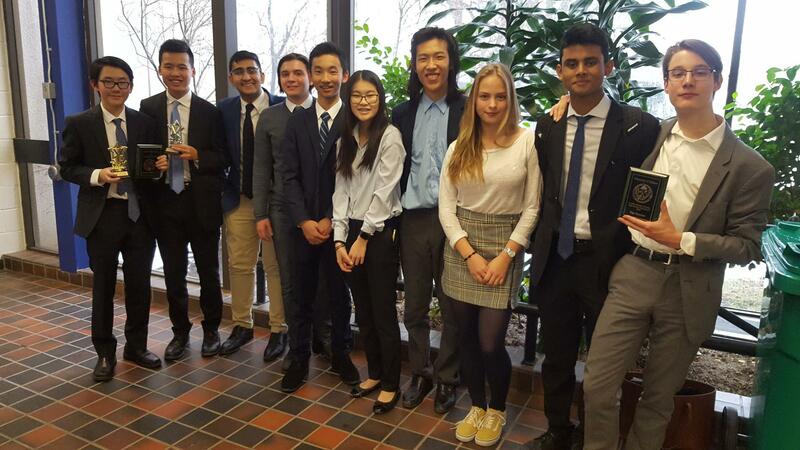 In late March, Appleby sent five teams to the University of Ottawa Debate Tournament. With more than 100 students from across Ontario and Quebec present, Appleby's students competed in five challenging impromptu rounds with topics that ranged from social expectations of marriage to the rights of rivers. Upper Two students Alex Xiong and Calvin Xu placed top Novice team in the preliminary rounds. They went on to win the Novice category after a close final round that debated the impact of the Bechdel test. Calvin was also the top Novice speaker at the tournament. Senior Two students Shaheer Abbasi and Nick Usenko placed fourth in preliminary rounds with four wins, while Senior Two students Md. Riaz Mahmud and Rhys Nickerson placed first with a perfect win score and top speaker points. Both teams competed in the Semi-Final rounds, which debated the benefits of new technologies in agriculture. Rhys also won top speaker at the tournament. Senior One student Haoji Xu and Upper Two student Ema Ruzickova and Upper One students Ashley Liu and Roy Zhang also competed at the event. Congratulations! 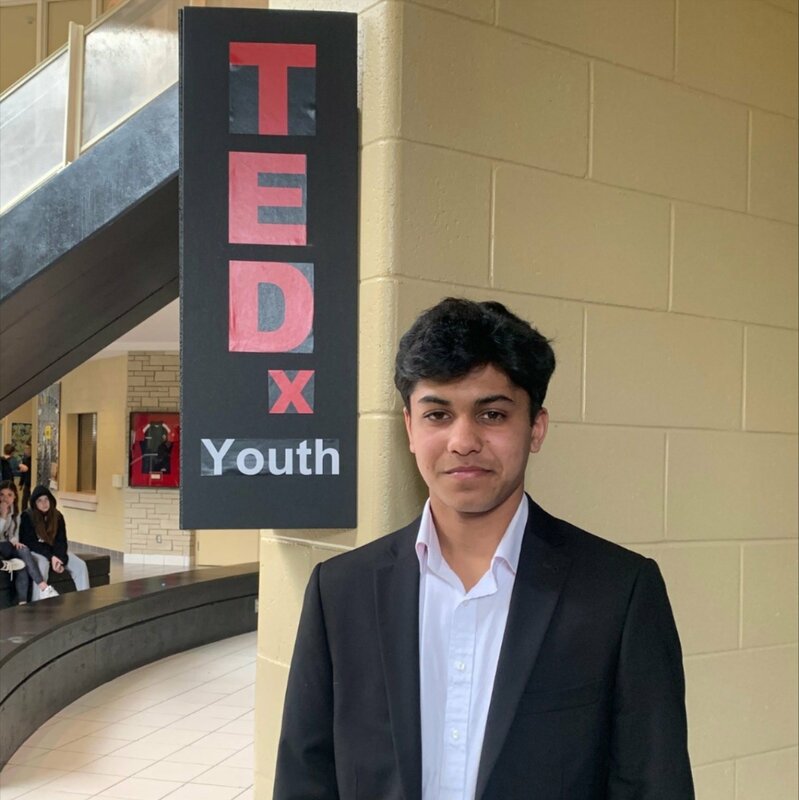 On March 28, Upper Two student Ethan Parikh participated in Halton Region's first TEDxYouth Conference at Abbey Park High School. Ethan represented Appleby and spoke on the topic, "How shoes can be a vehicle for powerful social change," which was based on his recent trip to Kenya and the children he met. Ethan's talk was awarded first prize and the prize money will allow him to donate funds to children affected by jiggers (a parasitic insect found in most tropical and sub-tropical climates). From March 8 to 21, 16 students and three faculty members travelled to Panama for an Experiential Education trip. The group spent the first few days exploring Panama City with visits to the Panama Canal, BioMuseo, and the City of Knowledge to learn about Panama's environmental issues and biodiversity. 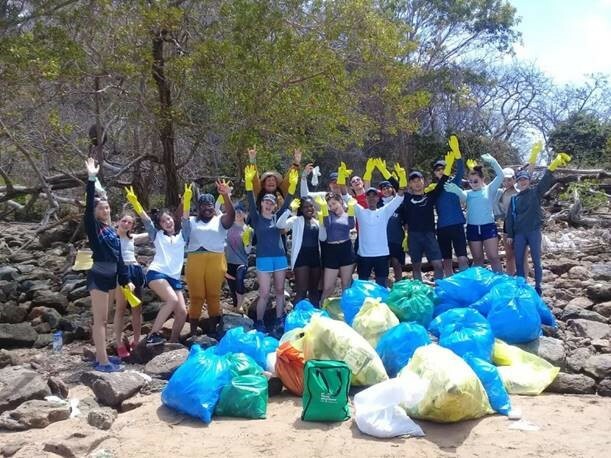 They then went to Isla Tobaga to participate in a beach cleanup and completed a three-day service project at the Rainforest Discovery Centre painting, building paths and planting butterfly trees. The group then travelled to the San Blas Islands where they interacted with students at a local elementary school through games, and learned more about Indigenous culture. The students returned home with an increased awareness of environmental issues, new friendships and great memories. 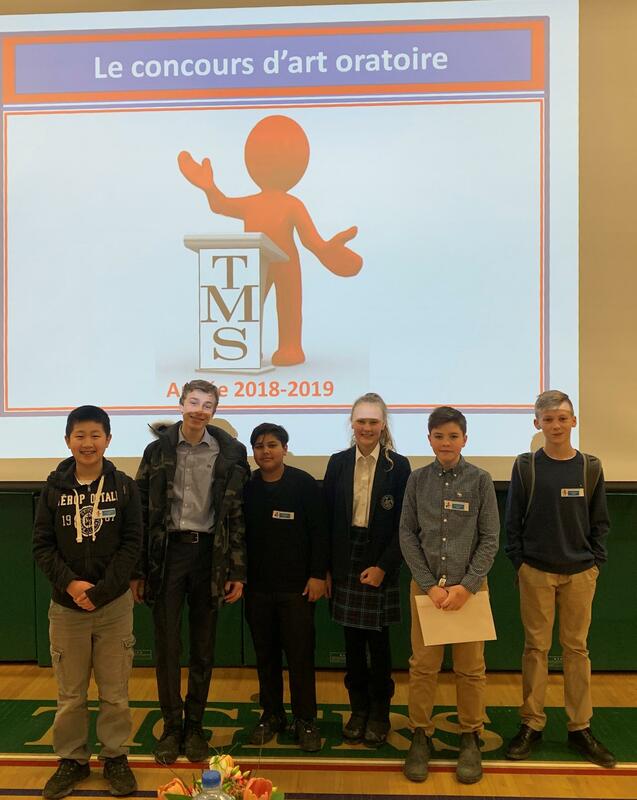 On February 28, Middle One students Aleksander Culbert, Alexander Ning and Luka Parikh, and Middle Two students Jake Burian, Luka Kirigin and Kaitlyn Rebecca, attended the Concours d'art oratoire French Speaking Contest at Toronto Montessori School. Students were challenged to speak in French on a topic of personal interest for a minimum of two minutes and respond to questions posed by first language French speakers. Students were evaluated on their precision of the French language, the fluency of their presentation, the development of their ideas, and the depth of their responses. All students represented Appleby with pride and, of particular note was Luka Parikh (grade seven Extended French) and Luka Kirigin (grade eight Extended French) who placed first in their categories which earned them a spot at the 35th annual Concours et festival d'art oratoire (Provincials) May 4 at York University's Glendon Campus in Toronto. Bravo les amis et bonne chance! Join Us For An Evening of the Arts! Join us for An Evening of the Arts, a showcase of Appleby's finest Arts programs! 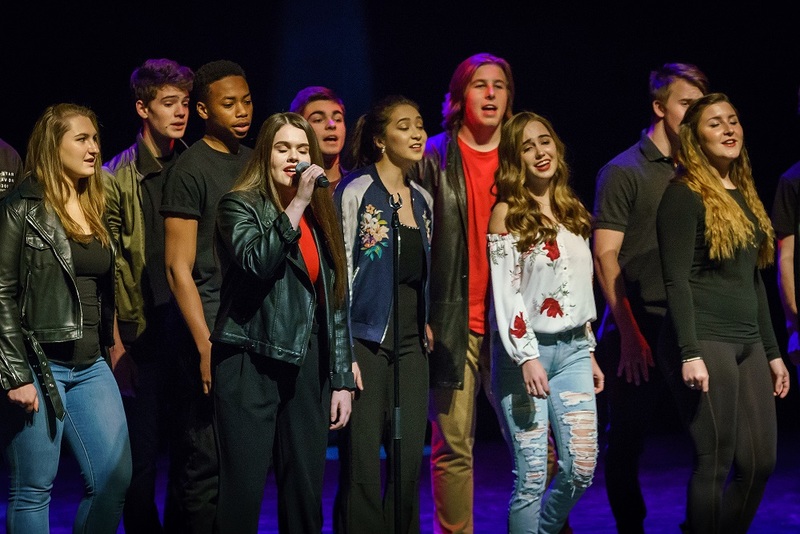 The event takes place on Tuesday, April 16 at 7:00 p.m. at the Burlington Performing Arts Centre (440 Locust St, Burlington). No tickets are required as the event is general admission. Please click here for students' reflections of the arts. If you have any questions, please contact Esteban Cambre, director, arts. 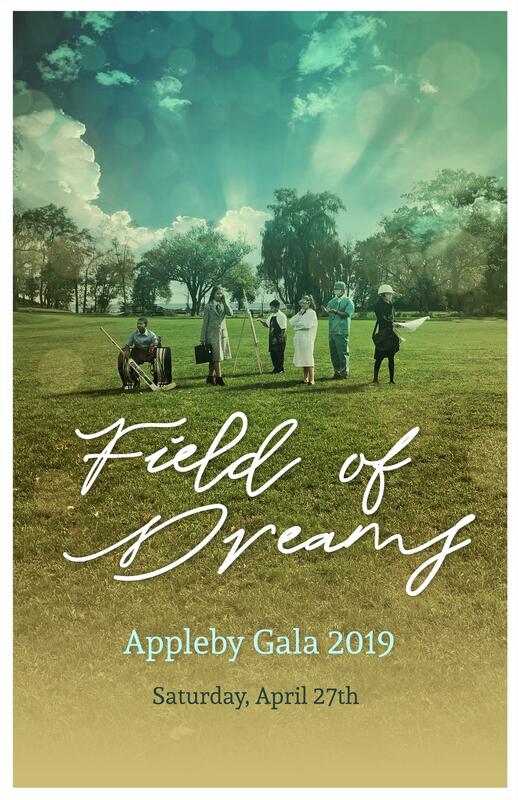 Appleby College's 2019 Gala Field of Dreams – Event Program is Now Online! The countdown is on! In just a couple of weeks, Appleby will be celebrating the Field of Dreams Gala. To get you even more excited, the event program is available for viewing online! Take a look at everything you can expect at the event including silent and live auction items, your emcee, entertainment, sponsors, and more! A reminder that the silent auction will be open for online bidding the week of April 22, and everyone in the Appleby community will have a chance to bid on items and support the school. Thank you to everyone who has supported the event and we are looking forward to a great night! For more information, contact Victoria Harrison '06 manager, events at vharrison@appleby.on.ca or visit www.appleby.on.ca/gala. New Online College Shop Discount Offer! Shopping for your child's spirit wear online has never been easier! Use promo code PARENTS2019 before Friday, April 26, 2019 to receive $25 off your order of over $100! Limit one entry per household. Offer expires Friday, April 26, 2019. Some restrictions may apply. Offer excludes Grad Rings, cuff links and Gala items. Visit the online College Shop today! The annual Employee Appreciation Luncheon is fast approaching. We would appreciate food contributions to make this luncheon a success. Please drop off your favourite hot or cold dish, salad, appetiser or dessert in the kitchen on Thursday, April 25 before 10:00 a.m. It would be much appreciated if you would use disposable dishes and let us know if your food contains nuts. Please come and join us to show your appreciation to our wonderful Appleby employees for all of their time and energy during the year. This is such a fun and lovely way to say "Thank You". Drop us a line to tell us what food you're bringing and if you can help out. To sign-up for food contributions, to volunteer, or for more information, please e-mail Suzanne Williamson or Daisy Li, ACPA Grade Parties & staff appreciation. Are you looking for a chance to get to know other Appleby parents? Are your children in need of service hours? If so, read on… The Appleby College Parents' Association is hosting a community service event on Thursday, May 2 from 6:00 to 9:00 p.m. The evening begins in Willis Hall for a service learning session and together we will travel to Food For Life in Burlington. Open to all Appleby parents, students and alumni, we invite you to join us in learning about the importance of food stability as we sort through donated perishable items. For more information please contact Andy Jelinek, director of parent relations. As a parent at Appleby, you are welcome and encouraged to attend meetings of the Appleby College Parents' Association Executive Committee. Our next meeting will be held on Tuesday, May 14 at 6:30 p.m. (please note earlier starting time) in the Raymond Massey Reading Room. There will be an opportunity to socialize with new parents in the library after the meeting and then move downstairs to the Schlesinger Dining Hall for a Boarder Break at 9:00 p.m. If you have any questions or require further information, please contact Julia Baillie, recording secretary. Mark your calendars for the annual book return and sale on Monday, June 17 and Tuesday, June 18. This is a great opportunity to clear your shelves and return textbooks. Books in good condition will be considered by the Canadian School Book Exchange, and if resold, a cheque or credit will be issued to you. Check your e-mail - the Canadian School Book Exchange (CSBE) will send a barcode the week of June 10 if you placed an order during the 2018-2019 school year (if you do not get a barcode or forget it at home, CSBE will look it up or create one for you). Bring your barcode (printed or on your phone) and all of your books to the collection. A CSBE representative will provide stickers to attach to the back of your books. You can bring all books (school and non-school related). CSBE will accept any books in good condition you wish to sell on consignment. For more information or or if you have any questions, please contact Cindy Zeng and Clare Schmehl, ACPA Book Return & Sale. As you know, the College Shop, Lost and Found and Turnover Shop will be moving to the A.W.B. Alumni Centre for Athletics and Student Life, so we're having a sale on gently used Turnover Shop items. Appleby athletic windsuits (previous model) are $5.00 (jacket or pants) and uniform sweaters are $3.00. All proceeds go to the Appleby College Parents' Association and benefit the Appleby community.